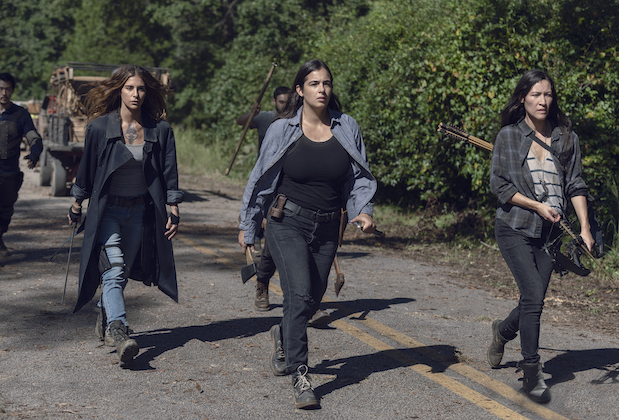 What’s happening next in the world of TWD? The website TVLine published nine screenshots hinting at future events in the series. What do you theorize is happening? From Episode 9: Negan has escaped! 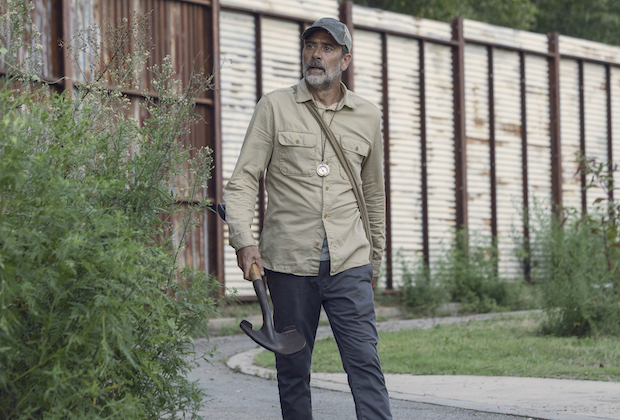 He may be missing his prized bat Lucille, but he DOES have a shovel that he can name after one of his exes. He appears to be inside Alexandria, the least safe place for him to be right now….we’re betting this is from an early scene showing how he gets away. 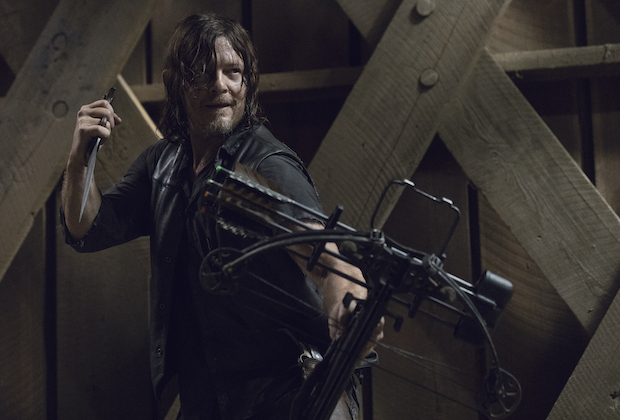 From Episode 9: Look out — Daryl has a crossbow in one hand and a knife in the other. He’s doubly dangerous! 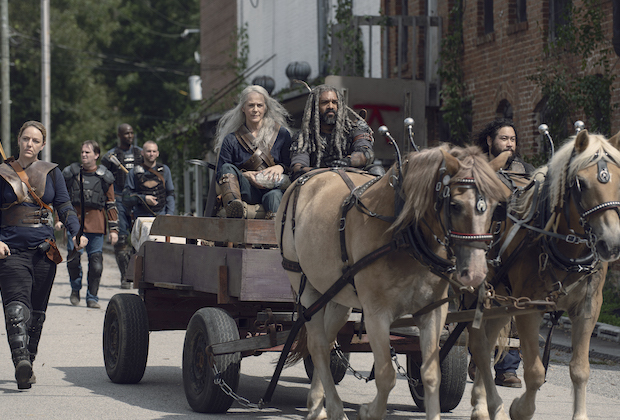 From Episode 11: Carol and Ezekiel, now a couple, take a ride. If you look closely you can see Jerry, mostly obscured by the horses. From Episode 13: It’s Tara, and…..I don’t have much to say about Tara. Does anyone? 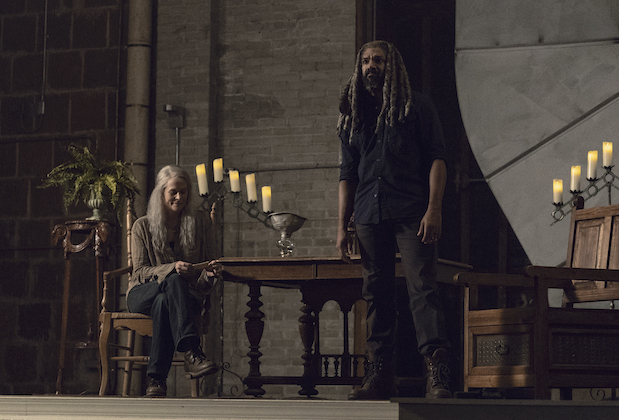 From Episode 13: events in this series are unpredictable and no one is truly safe, but we do know Carol and Ezekiel stay alive (and together) until Episode 13, at the least. 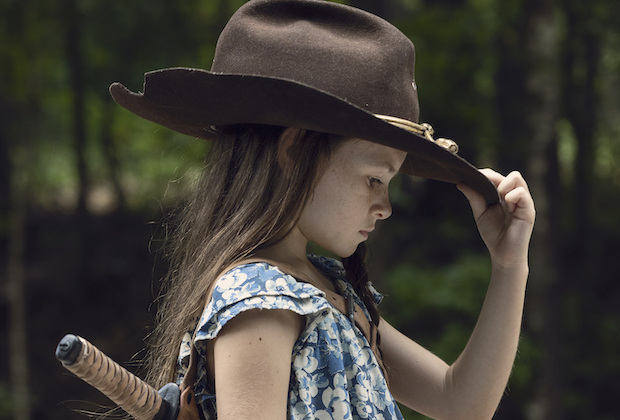 From Episode 9: Judith strikes a pose in her father’s hat. This will never not look bizarre. 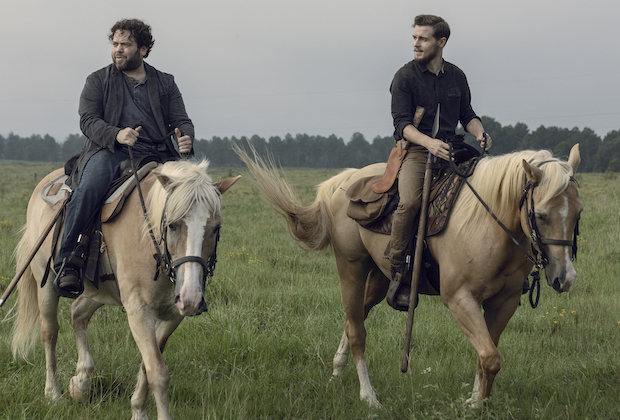 From Episode 9: Luke and Aiden on the lookout. 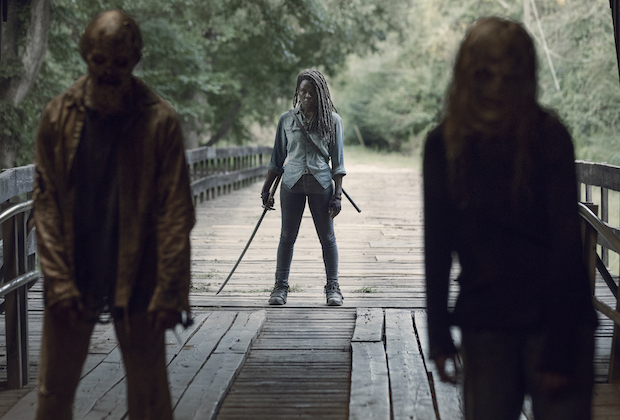 From Episode 9: Some people use stress balls; Michonne uses a katana and truckloads of zombie meat. From Episode 9: Eugene actually made it into a preview screenshot! He’s waaaaaay back there on the horse. He’s at least more visible than Jerry. 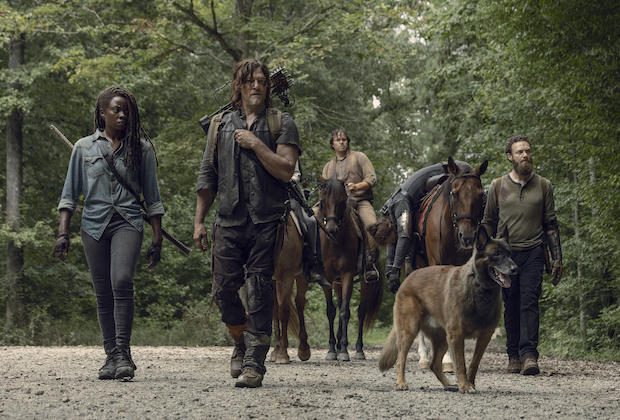 We are now less than two weeks before the return of TWD; new episodes resume February 10 on AMC.